Ramky estates & farms ltd..: Avail Special Booking Offer from #RamkyOneGalaxia! Avail Special Booking Offer from #RamkyOneGalaxia! 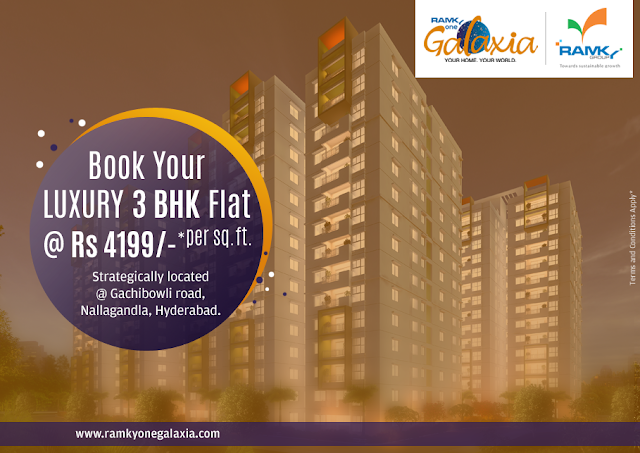 #RamkyOneGalaxia is located at Gachibowli road in Nallagandla, Hyderabad. The Luxury 3 BHK flats offer a comfortable and futuristic living. Book now to avail amazing special offers.